Take your brand to new heights with our sleek Mano Pen. This slim, twist-action pen features metallic-finish barrel and clip in your choice of vibrant colors, with a chrome plated plunger and trim ring to add a finishing touch. 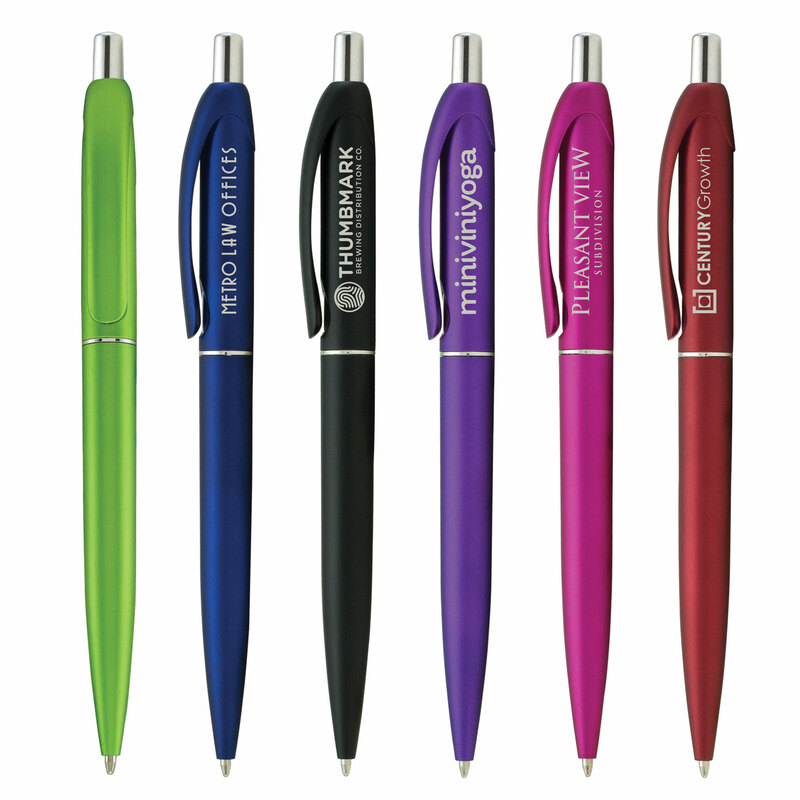 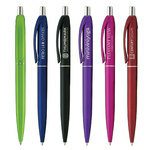 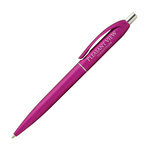 Your logo will fly high when it's imprinted on this affordable and attractive pen. » Imprint Area: 1.25" x .25"